Together for over a decade, Kyra and David Winter are happier than they ever thought they could be. They have a comfortable home, stable careers, and a young son, Michael, who they love more than anything. Yet because of their complicated histories, Kyra and David have always feared that this domestic bliss couldn’t last – that the life they created was destined to be disrupted. And on one perfectly average summer day, it is: Michael disappears from his own backyard. The only question is whose past has finally caught up with them: David feels sure that Michael was taken by his troubled ex-wife, while Kyra believes the kidnapper must be someone from her estranged family, someone she betrayed years ago. As the Winters embark on a journey of time and memory to find Michael, they will be forced to admit these suspicions, revealing secrets about themselves they’ve always kept hidden. But they will also have a chance to discover that it’s not too late to have the family they’ve dreamed of; that even if the world is full of risks, as long as they have hope, the future can bloom. 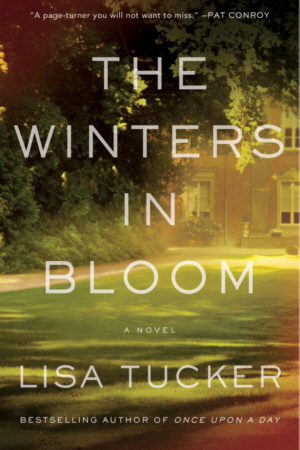 Lyrical, wise, and witty, The Winters in Bloom is Lisa Tucker’s most optimistic work to date. This enchanting, life-affirming story will charm readers and leave them full of wonder at the stubborn strength of the human heart.